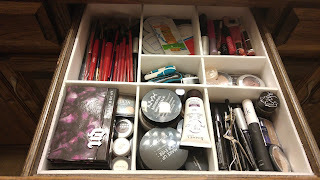 It's easy to organize drawers using drawer organizers, but they aren't cheap and they don't fit every drawer. I made a DIY Drawer Organizer for my makeup drawer using paper poster board and later foam poster board leftover from organizing the kitchen pantry. The paper poster board was easy to cut to size, and I used tape to hold it all together. It made a huge difference! I sorted it according to use. 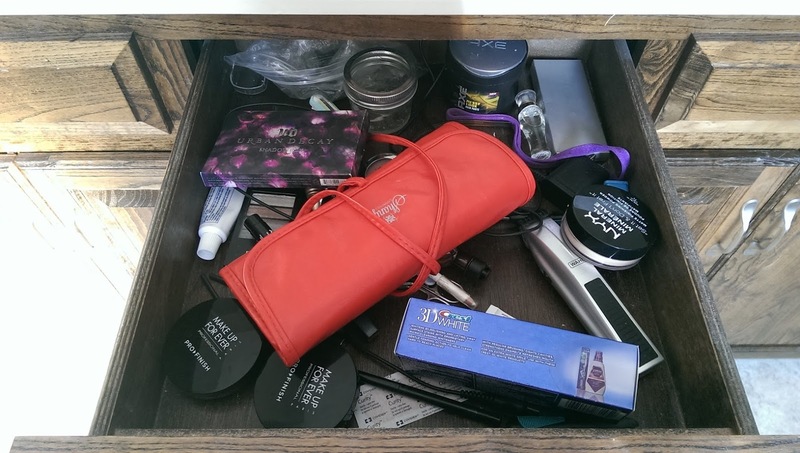 We have brushes, make up remover and sample packets (because I always end up with some of these), fingernail clippers and files, lipstick and glosses, eye shadow, primers/powders/blushes, and eyeliners/mascara/eyebrow color and gel. This worked amazingly well! However, after many months of use it started to break down. Opening and closing the drawer causes everything to shake around and pull on the paper. I needed something more sturdy! Like I said, I had foam poster board leftover from when I organized the kitchen pantry. I used it to cover the wire shelves in the pantry, and the excess was just sitting in my craft room waiting for a use! Instead of using tape to hold everything together, I cut the foam board with notches so that the intersections slip into one another. It is very sturdy and cost me nothing! 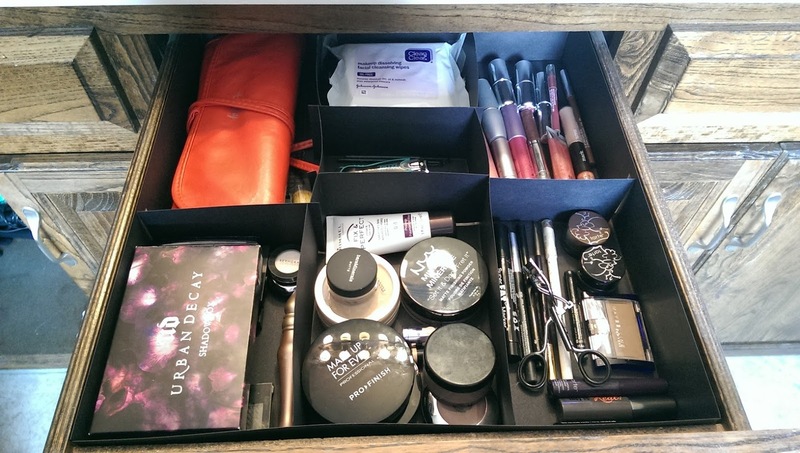 I love love love my makeup organizer! 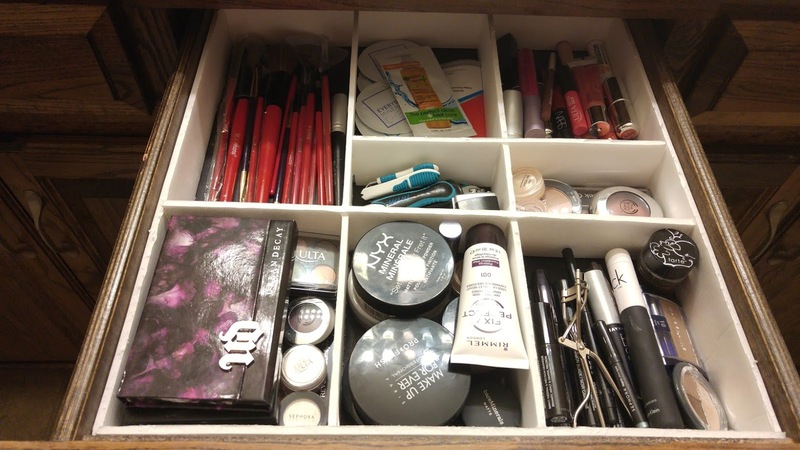 If you don't already have a system or have a drawer containing something other than makeup that needs organizing, I hope you will try this method.